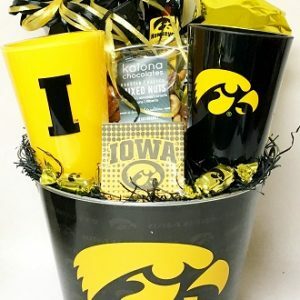 This Hawkeye pillow box is filled with an assortment of snacks for the dorm student or avid Hawkeye fan. 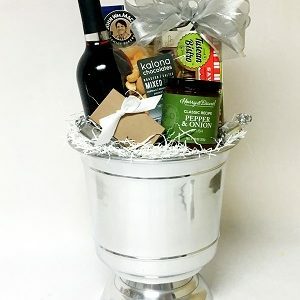 You may choose either a polka dot or stripe box. 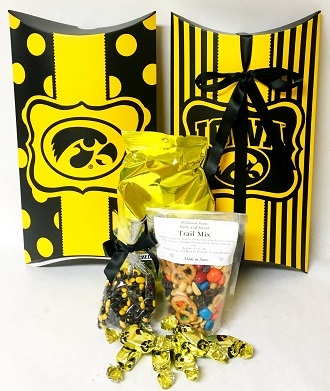 It includes cheddar popcorn, sweet and salty trail mix, Herky chocolates and black and gold chocolate covered sunflower seeds. 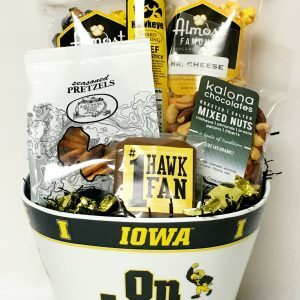 At an additional cost you may add Herky beef sticks, chocolate covered graham, chocolate covered Oreo or nuts.